USAF Retired Master Sergeant, Haward James Jackson, 83, was called to his final deployment on Monday, April 9, 2018. 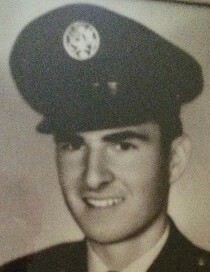 Haward served our country for twenty years in the United States Air Force. He was preceded in death by his parents, Flora and Quillie Jackson, brothers, Hollis and Hillary Jackson, and sister, Florene Parker. Haward was a loving husband, father, and grandfather who is survived by his wife of 65 years, Nora Faye Jackson, brother, Horris Jackson, children: Neal (Pati) Jackson, Debra (Jerry) Weldon, Dale (Cathy) Jackson, Eric (Robbie) Jackson, Kimberly (Derek) Adams, and daughter-in-law, Tammy Jackson, as well as numerous grandchildren and great-grandchildren. He was loved deeply and will be sorely missed. A funeral service will be held at 11:00a.m. Thursday, April 12, 2018 at Jeffcoat-Trant Funeral Home, with burial to follow in Garden Hills Cemetery. Dr. Rusty Sowell will be officiating the funeral service. Visitation will be Wednesday April 11, 2018 at Jeffcoat-Trant Funeral Home beginning at 5:00p.m. until 7:00p.m.